That said, the models are fine as they are for my purposes. Though the rule changes to equipment on unit leaders does, in some cases, take them out of WYSIWYG compliance. Right now, I have a couple of champions with power fists. I find them to be a bit too expensive for how I use the units. These new champions will help me cut some points out that I can re-purpose elsewhere. Also, I finally got around to building the metal Obliterator I’ve had on the shelf for ages. He’s primed and ready to go. Since the new edition requires the unit to have at least three models, I’ll finally be able to field my Obliterors again. Here’s hoping my Shining Gold paint pot isn’t all dried up. Oh, and before I forget, I mentioned my ETL vow. I finished up the last two models for that on time and was pleased with how they turned out. I used Duncan Rhodes’ paint scheme on the Lord of Contagion and I think I got pretty close to his finished product. I only used a couple of different paints from his scheme, and those were on very small pieces of the model. The Chaos Spawn I tried to keep closer to my older Death Guard paint scheme. 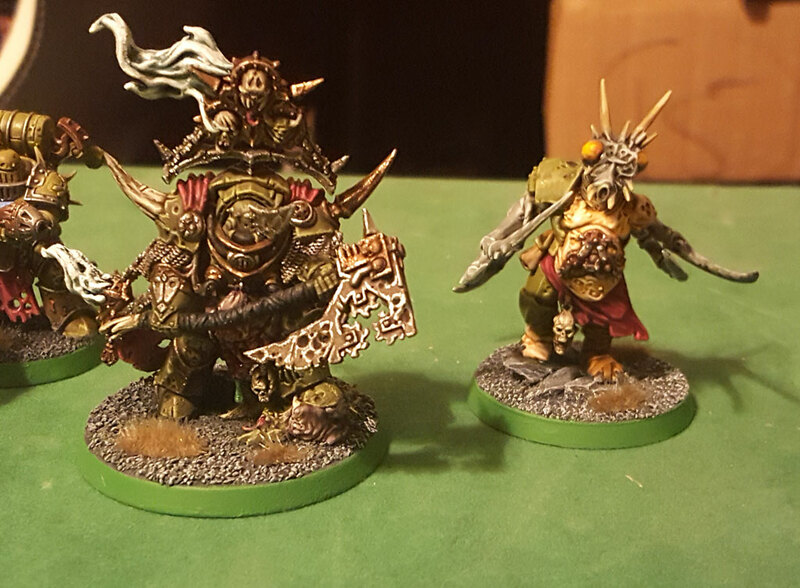 I was initially worried the different paints would make the Lord of Contagion look much different and stand out in a bad way. I’m pleasantly surprised that’s not the case. Turns out, my old scheme gets pretty close to the look Duncan comes away with. Now Call of Chaos is about to start up on the B&C, so I’m sure I’ll be sucked in to that. 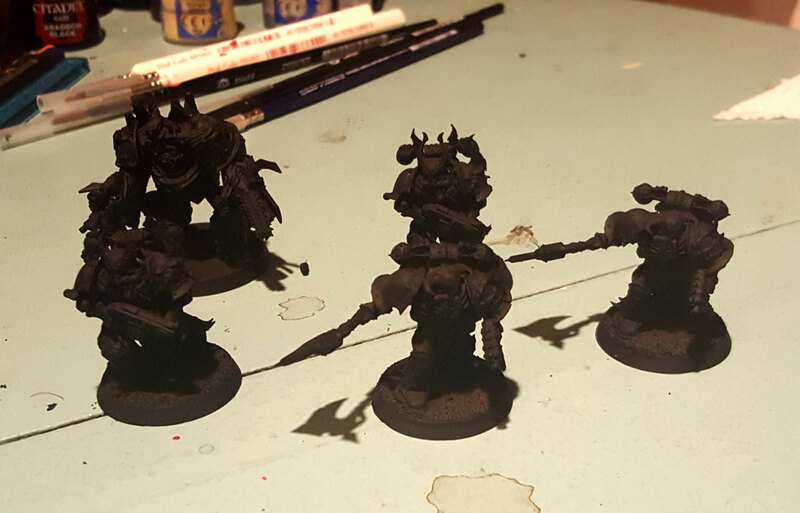 I do have one more squad of Plague Marines and need to do for my Death Guard army….